I get so excited with the change of the seasons, enjoying new flavors that I haven’t had for almost a year. Pumpkin, butternut squash, sweet potatoes, carrots, and more. What do all of these wonderful vegetables have in common? They are loaded with the orange-pigmented antioxidant, beta carotene. Pumpkin is also loaded with vitamin C, fiber, potassium, and folate. The problem with most pumpkin-flavored items is that they tend to be loaded with fat and excess sugar. Pumpkin-pie, frapps, cheesecake, all take innocent pumpkin and turn it into junk food. 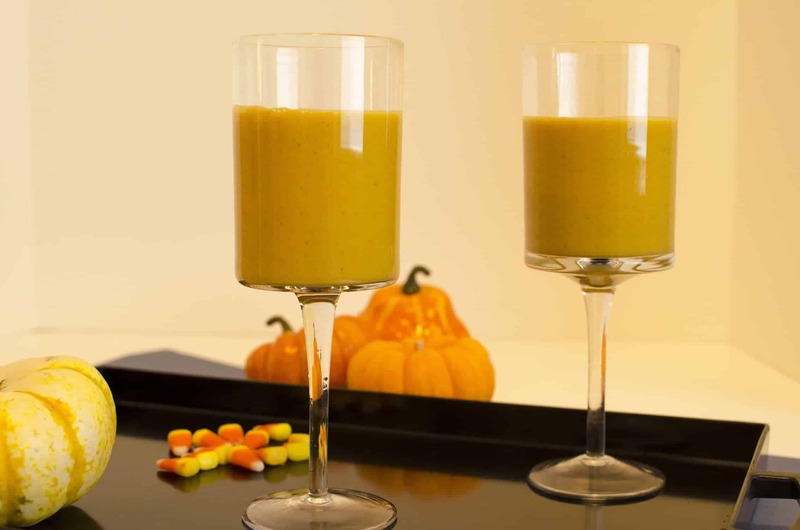 These pumpkin shakes still deliver on the benefits of pumpkin, without all the added frills. Perfect for breakfast, as a snack, dessert, its the perfect way to celebrate Fall. Place all ingredients in a blender, puree into smooth. Makes 1 large serving, 2 small shakes. MMMM- I’ve always wanted to try a pumpkin shake.. can I come over? This would be a great sub for pumpkin pie! Pumpkins are one of the best parts of fall! I’m so happy you posted this since I have an open can of pumpkin puree in the fridge, and few good ideas for it. This sounds simple and satisfying- Perfect! 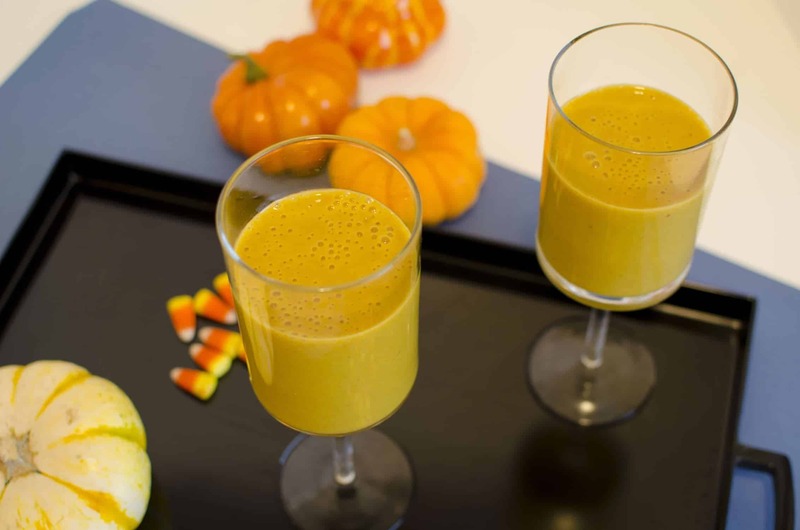 i have been trying to incorporate pumpkin puree in my smoothies with some rolled oats in the morning and it makes a great breakfast option. love your presentation! mmmmm! 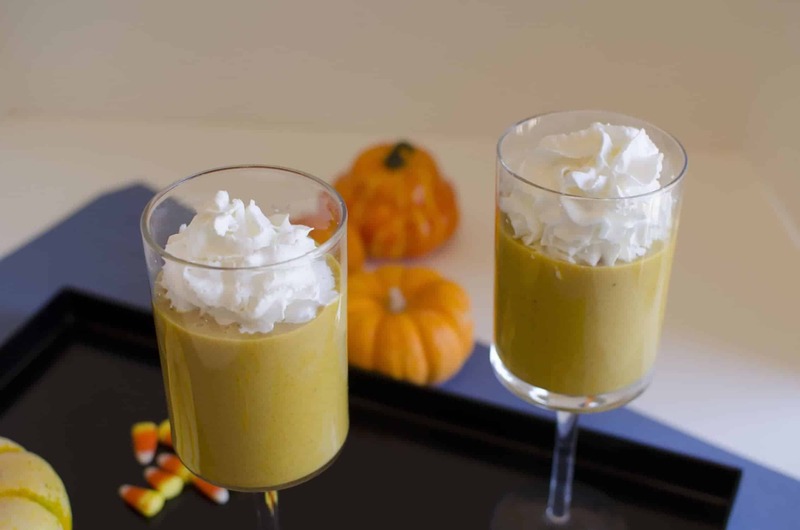 pumpkin pie smoothies are my favorite!! 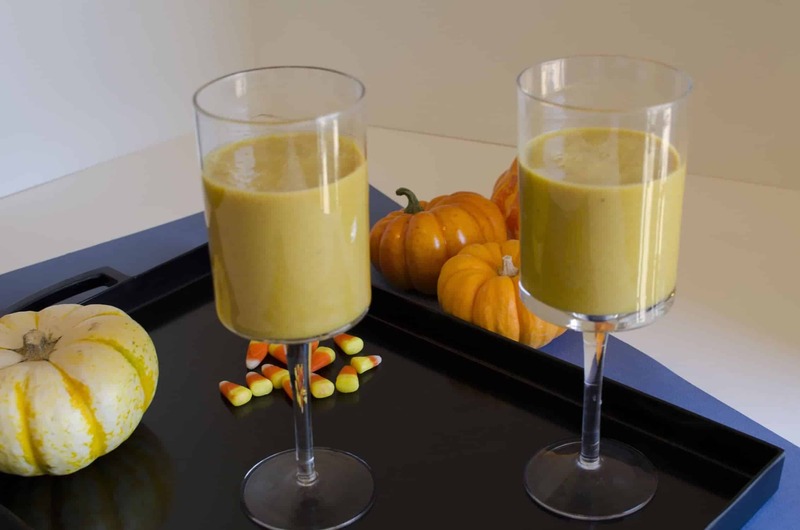 Anytime I can drink my food and make it sound this delicious and pumpkiny….I’m all in! Fall flavors are the best! I wonder if I can freeze this to enjoy for a few months! Just had this for breakfast (I added some ice to the blender to make it thicker) and it’s SO delicious! I’ll definitely be eating a lot of pumpkin this year! Yum! I bet adding ice to it would make it creamier, thanks for the suggestion Annette. Thanks for all your comments, glad you like it!